If you’ve wondered why the blog’s been kinda silent for a while, Jaz and I have both been doing a good bit of traveling. To places connected to the mafia, no less. 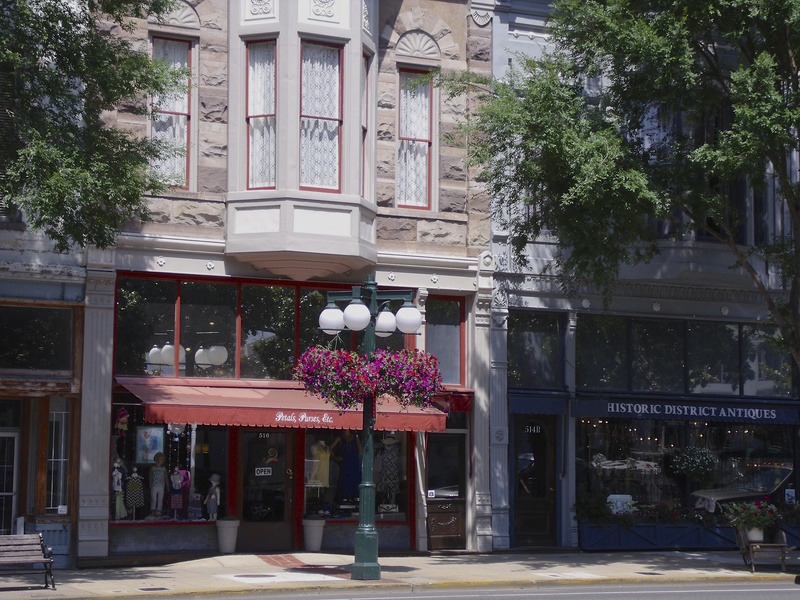 Destinations: Chicago and Hot Springs, Arkansas. 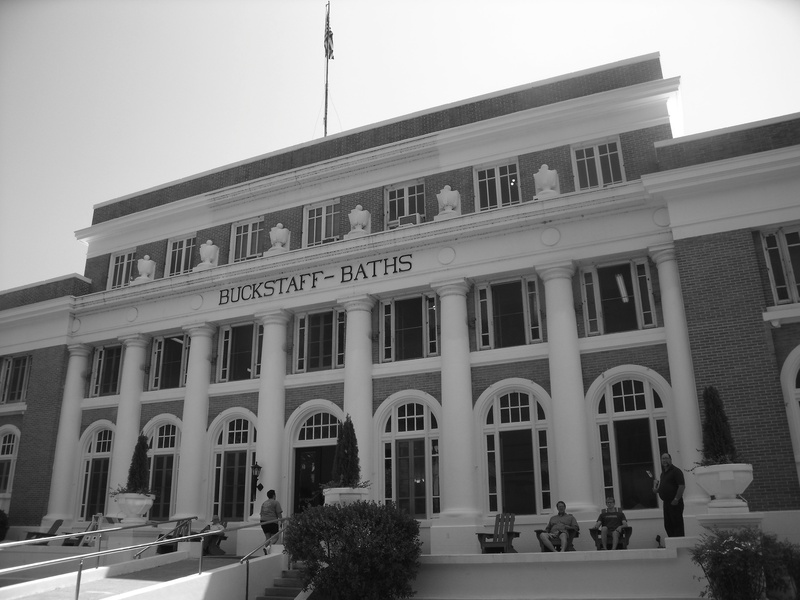 We’ve all heard of the mafia in Chicago and New York, but Hot Springs? That little tourist town? Yep. Don’t be deceived by its adorable cutesy-ness. Unexciting photo of a historic Hot Springs bathhouse. Chicago. The Windy City was amazing. (The Calamity Jane song reference doesn’t really go with our theme, but I couldn’t help it.) The food, the architecture, the tour of Al Capone’s house and all the mafia-related spots (just kidding) (Jaz: You should have!). I did go to Union Station, however, location of the mafia shootout on which the Kevin Costner movie The Untouchables was based. I may have even seen one of the bullet holes . 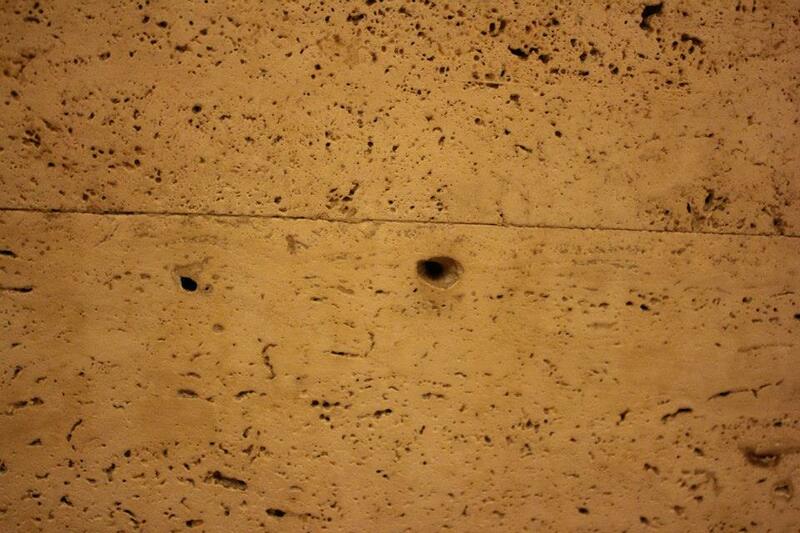 . .
Bullet hole at Union Station! How cool is that? Since this is a classic book and movie blog, not a vacation blog, our next post will be on a mafia-related movie. Care to guess which one? And no, it’s not The Godfather.